How do I know if I am candidate for All on 4 or All on 6 procedures? An evaluation is needed with the doctor using X-rays, CT scan and a clinical examination to determinate which option will be the optimal for your case. Different factors are considered like quality and quantity of bone, time without no teeth, remaining teeth and diseases of the patient. How 4 regular implants can hold a complete denture? In the All on 4 system, the implants are set strategically on the jaw bone or maxilla bone (two implants are parallel and the other two they are tilted at 45 degrees) in this way we obtain a perfect mechanical retention to support a titanium bar. How do I know if my option will be All on 4 or All on 6? As we mentioned above, trough the valuation with the doctor, he can determine if you are candidate for all on 4 or all on 6 or maybe both and you can choose one depending which system you like you the most. Why do I have to wait to have the final denture with All on 6? There are two ways to rehabilitate an implant, the first is an immediate load (placing the teeth right away) and the second is to wait for a time to complete a healing process called “osseo-integration”; this is the direct connection between human bone and tissue with the surface of an implant. This process may take at least 3 months to 6 months. In other clinics they put it in the same trip, why is different with you? Based on our experience we have had many success cases doing this in two steps, we are not against to do it and we do not say that is wrong, it will depend on case by case basis to decrease the possibility of rejection. The foundation is a structure made of titanium, and the teeth themselves, there are two types, porcelain and Acrylic D. Diamont. Both have the same characteristics and strength necessary to support the pressure of chewing and biting. 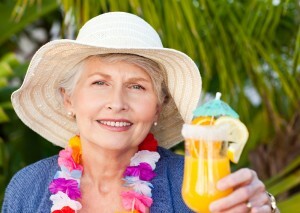 Can you fit the implants to my old denture? For the system all on 4 and all on 6 we cannot adjust the conventional dentures. 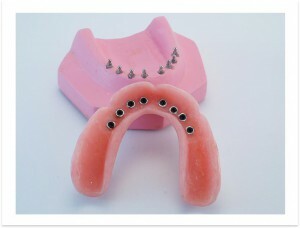 We can adjust your plate if you decide to go for SNAP ON DENTURES system with mini implants. If an implant fails, what do I have to do? 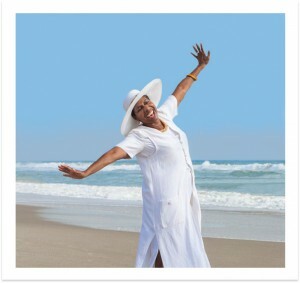 If during the osseo-integration process your body rejects an implant, do not worry. All you have to do is keep the implant and when you come to the prosthetic part just bring the implant and we will set you a brand new free of charge. And after a re-evaluation we will decide if we are able to continue the rehabilitation part, in most cases we can. What brands of implants do you used? We use different types of brands according each case, all are approved by the FDA. The brands include MIS, NOBEL, ZIMMER and BIOMET. 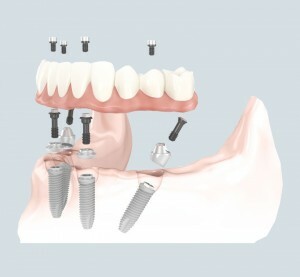 How much experience do you have placing implants? We can say that we have placed a thousands of dental implants in more than 20 years experience. How long do All on 4 and All on 6 last? The teeth have a lifespan of approximately 15 years, this includes regular checkups with your dentist and maintenance. Also it will require daily care as if they were your natural teeth. Additional hygiene is important to other surrounding organs to dentures as tongue, cheeks and gums. How long should I go to set an implant? 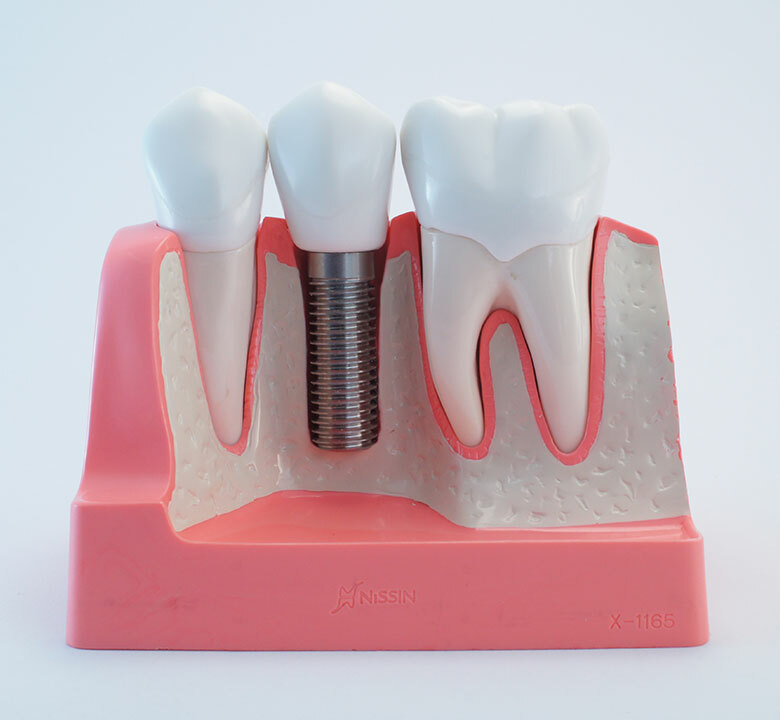 The estimate for implant placement time is 3 days, being the first day where the implant is set and the 2nd and 3rd day is to check its evolution. If I need several implants, how long does it take? The average time for placement of 1-2 implants is 30-45 minutes, and 3-6 implants is about 2 hours , depending on the area to place them. The time required for your stay in the clinic is 1 day for the placement and a 2nd and 3rd day just to review the progress of the proceedings. How many days will I be in pain? In the first two days there will be some soreness or pain in the area of surgery and perhaps some swelling. You will receive instructions and medication according to the procedure to reduce the pain. Can I do my normal activities after my dental treatment? If a procedure has implants, mini implants or a sinus lift is done you should avoid exercises that require strenuous effort, such as diving or carrying heavy things and avoid excessive sun exposure. It is not advisable to drink alcohol, mainly because of the pain killer drugs that are prescribed after treatment. Combining alcohol with certain medications can cause fainting, headaches, loss of coordination or vomiting. Can I place the implant on the same day? 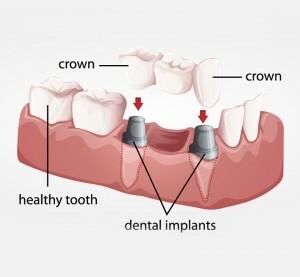 The dental implant is placed on the same day in which it is determined that the bone is optimal for placement. How do I know how long should I wait, 3, 4, 5 or 6 months, for the rehabilitation of the implant? The waiting time after placement of a dental implant to perform the rehabilitation of it will depend on the type of bone in which the implant is placed. Usually if it’s just placing implants without any other surgery such as sinus lift, bone and membrane placement, the period is 3-4 months. Can I use my own denture? 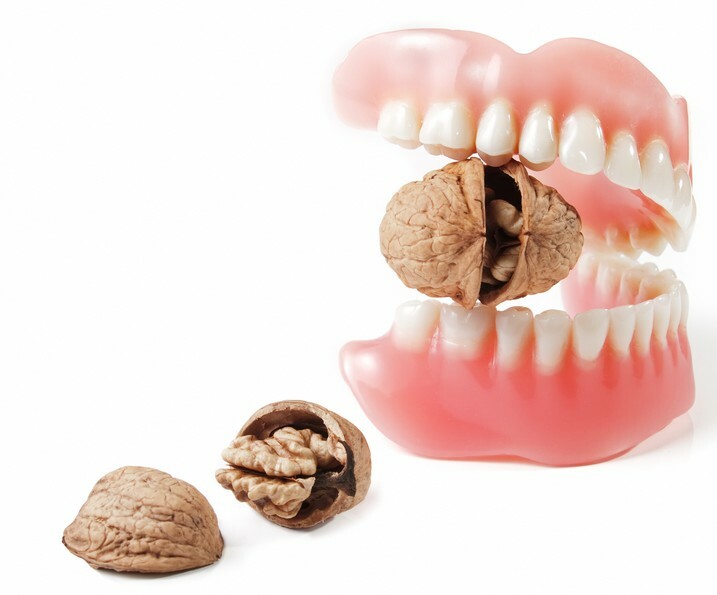 If your dentures are in good condition and you still want to maintain the same kind of smile, we can make you old dentures fit snap in dentures. The doctor will check if it’s possible to adapt your dentures. What material is the denture? It is a brand material Diamont D. Acrylic. Quite sturdy and durable, FDA approved. How do I know I’m a good candidate for mini implants? After an evaluation with the doctor, through X-rays and a clinical review, depending on the amount of bone and any teeth remnants may determine whether you are a candidate for the procedure. Mini implants can be used for patients with low bone density as these mini implants are thinner but with the same height as a conventional implant, also if budget is not enough for a full bar these could be an excellent alternative. How many times must I remove the teeth a day? The times you have had a full meal in order to clean the remnants of food. How long wills the mini implants last? They will last the same as the support bone, with proper care and when there’s no disease. The lack of hygiene might lead to gum disease, where there is bone recede. How long can dentures last? Dentures can last about 15 years with care and maintenance, after that period they are recommended to be changed. Can I sleep with dentures? Yes you can, there is no contraindication. 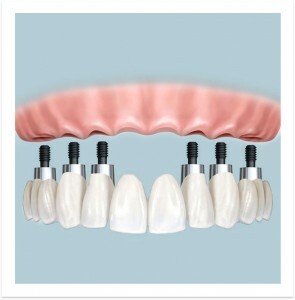 If one or two mini-implant fell, what do I do, can still use the denture? Sure, we recommend placing eight mini implants per arch, because if one falls we still have other 7 or 6 to hold and they work perfectly. The mini implants also have a warranty. Just put it on a bag and bring it with you on your next appointment and we will place a new one at no cost to you. Travel expenses are included in the price? No, the prices are only the costs of each treatment. Expenses of transportation, hotels and food are by the patient. Do you offer shuttle service from the hotel to the clinic? We can arrange transportation to the clinic on your first appointment. Do you offer all-inclusive packages with flight and hotel? No, we are a clinic, and we just offer excellent dental treatments with really good price. How far is the clinic from the airport? How far is the clinic’s hotel zone? The entrance to the hotel zone is 5 minutes away. The Hotel Zone is a long strip so the additional time to get here depends on what hotel you are staying. Cancun is safe to travel? Cancun is pretty safe, we have much tourism and areas such as the hotel zone and downtown. We have a lot of security so tourist feel safe. Do you offer shuttle service for every appointment? As it was already mentioned, we can offer a taxi ride for the first consultation, but in your other visits you have to pay the taxi. Do you have an agreement with a hotel or recommend hotels? We do not have an agreement with any hotel, but our dental planners will gladly help and suggest to find a hotel based on your needs. We offer 5 % discount on cash payments or bank transfer. Does the appointment has any cost? Consultation and diagnosis are free of charge! No, once the doctor examined and give you the diagnostic and dental plan to follow, we give you an estimate so you know all what needs to be done. Any changes to your treatment costs you will be advised beforehand. Once given the estimate, does it change? In most of cases it won’t. Only on very special occasions it might change according to how each treatment is performed. All this is openly and clearly explained to you. Do X-ray have a cost? All X-ray taken has no cost. We accept almost any form of payment, cash, debit and credit cards (American Express, MasterCard and VISA) Wire transfer. Yes we do accept credit cards. Yes we do accept debit cards. Are there any financial plans for pay? We do not handle any financing plan for the moment. After accepting the treatment, it should be paid 70% before treatment and the other 30 % before the last appointment. Is there a pharmacy close to the dental office? Yes, we are in a shopping center, and one of the stores outside is a drugstore. There are other drugstores in the vicinity. Is it safe to carry cash? Cancun is one of the safest cities in Mexico according to Trip Advisor website, but it is worth to have caution when carrying cash. I saw cheaper prices in other clinics, why the difference? The prices are already quite accessible handle for the dental market, we offer quality equipment, service and attention to the patient. Why should I go to Cancun instead of somewhere else? Because it’s a beautiful place to vacation, we have an excellent beach and all-inclusive resorts offer a five star service. If you are already thinking of traveling for dental work, there is no better way to vacation, relax and enjoy a place like Cancun while you get your gorgeous new smile. Can I pay by certified check? No, we do not accept any check. We do not work directly with any insurance. But the customer service department will be happy to help you fill out forms from your insurance so you can make valid upon returning home. Can I get discounts if I tell my family and friends about this dental office in Cancun? This is possible. Please speak with our dental planners for more information on what benefits you can get from referrals. About an hour and a half to two hours, including taking x-rays, filling medical records, consultation and treatment plan. If you accept the treatment plan we can start working right away (this might take additional time). When will be my next appointment?At the end of each of the consultations will be make you known verbally and in writing when will be your next appointment. If you need reminder the day before, just let us know.